Our guide on starting a vape shop covers all the essential information to help you decide if this business is a good match for you. Learn about the day-to-day activities of a vape shop owner, the typical target market, growth potential, startup costs, legal considerations, and more! Many consumers are now using electronic cigarettes in place of traditional cigarettes. This offers a unique opportunity for entrepreneurs interested in entering the industry. In addition to selling vaping devices, some vape shops also offer a lounge where customers can enjoy their recently purchased products. An increasing number of entrepreneurs are now opening vape shops, increasing industry competition. Successful shop owners are knowledgeable and passionate about educating their customers. They must enjoy researching an ever-evolving market and be dedicated to delivering strong customer service. What happens during a typical day at a vape shop? Your preferred clients will be broken into three different groups. First, try to appeal to smokers who are considering breaking the habit. This will require more than educating them on the benefits of switching to e-cigarettes. Break it down and show them how they will save money in the long-run. Your second target audience is current e-cigarette smokers. To engage them as customers, carry a wide variety of quality products, at an attractive price point. Lastly, make sure your shop is easily located for vacationers. This could offer a steady flow of customers that many vape shop owners tend to ignore. How does a vape shop make money? Vape shops generate revenue from the sale of their products. What is the growth potential for a vape shop? This is a fairly new industry that flourished from its inception. For business savvy owners who are dedicated to achieving their goals, there is significant room for expansion across the globe. What are some skills and experiences that will help you build a successful vape shop? This profession requires owners to be personable and able to connect with both customers and others, within the industry. For long-term success, focus on continuously researching industry trends, inventory, budgeting, and what makes your customer happy. The Smoke Free Alternative Trade Association is a great resource for keeping up with the latest in legislative changes. Additionally, there are a number of courses that offer guidance in putting it all together. What are the costs involved in opening a vape shop? Unlike many start-ups, you can open a vape shop with a fairly low amount of capital. Industry leaders estimate a budget of $25,000 for a small shop and $50,000 for a large one. If you are considering franchising as an option, budget for an additional $10,000 to $20,000 in franchising fees. What are the steps to start a vape shop? Form a legal entity. Establishing a legal business entity prevents you from being personally liable if your vape shop is sued. Open a business bank account. A dedicated checking account for your vape shop keeps your finances organized and makes your business appear more professional to your customers. What are some insider tips for jump starting a vape shop? Spend time developing a brand that your target audience can relate to. Remain consistent with that brand image. When initially stocking your inventory, use the following formula, adjusting as you get to know your market better: 50% starter kits, 40% mid-level kits, and 10% high end hardware. Additionally, stock an assortment of replacement parts. In this industry, brand loyalty is paramount to your success. Find the manufacturers you believe in and stick with them. If you take care of them, they will take care of you. Ultimately, price is what will turn prospective customers into loyal clients. Carry quality products at competitive prices. Offering your clients the option to customize their e-cigs will cut down on your need to carry kits. This will help reduce ongoing expenses. The vape community is tight knit, yet rapidly growing. Reach out to others in the community. Research the marketing staff of the brands you carry and find ways to connect to them. Regularly attend trade shows and vape conventions to further strengthen those relationships, as well as your position within the community. Search engines like Google and Yahoo will not allow e-cig companies to advertise. This means you will need to get creative. Maintain an online presence by having a simple, yet informative website. Create social media pages, such as Twitter and Facebook. Reddit is another effective way of advertising your vape shop. Some online advertising services, such as eCigMedia, specialize in the e-cigarette industry. To target the out-of-town customers we mentioned earlier, make sure your business is listed on Google Maps, Apple Maps, and Yelp. While you cannot advertise on search engines, you can make sure the shop is listed. Google, Bing, and DuckDuckGo listings are a great way to increase your online visibility. Provide exceptional customer service at all times. Carry quality, affordable products. Encourage satisfied clients to spread the word and always ask for feedback, both negative and positive. Veteran vape shop owners recommend you be present as much as possible, to ensure your business strategy is adhered to. To avoid burnout, however, your shop will require a team of one to two people. Each employee should be personable and knowledgeable about the shop’s products. If they do not have the answer, they should make it their mission to find out. Once you have gotten a better feel for the demands of the store, you can adjust the number of team members you employ. 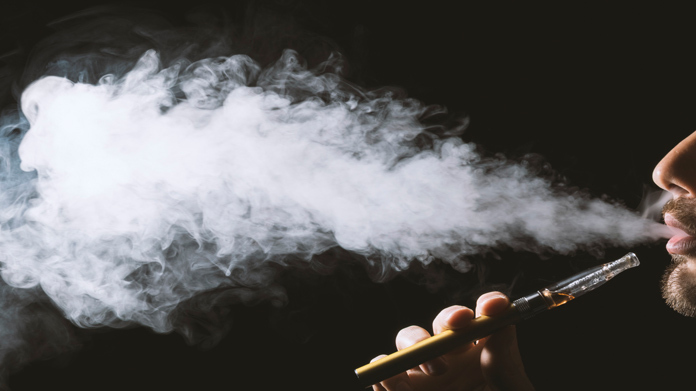 Though vaping is a form of "smokeless tobacco", the FDA regulates e-cigarettes and vapes in the same way as other tobacco products. Manufacturers, retailers, and consumers must each follow their respective set of federal regulations. Here is a link to an overview of FDA tobacco retailer regulations. Certain state permits and licenses may be needed to operate a vape shop business. Learn more about licensing requirements in your state by visiting SBA’s reference to state licenses and permits. A vape shop business is generally run out of a storefront. Businesses operating out of a physical location typically require a Certificate of Occupancy (CO). A CO confirms that all building codes, zoning laws and government regulations have been met. Before leasing, confirm that your landlord has or can obtain a valid CO that is applicable to a vape shop business. Review all building codes and zoning requirements for your business’ location to ensure your vape shop business will be in compliance and able to obtain a CO.
Prices will vary, depending upon the products sold. Accessories run as low as a $3, while some items sell for as high as $300. What are the ongoing expenses for a vape shop? This estimate does not include replenishing of inventory. While this will be your largest expense, the numbers vary significantly, based on a number of factors. How much profit can a vape shop make? The average vape shop reports approximately $26,000 in monthly sales. If your monthly expenses are $10,000, your business would realize an annual profit of $120,000.